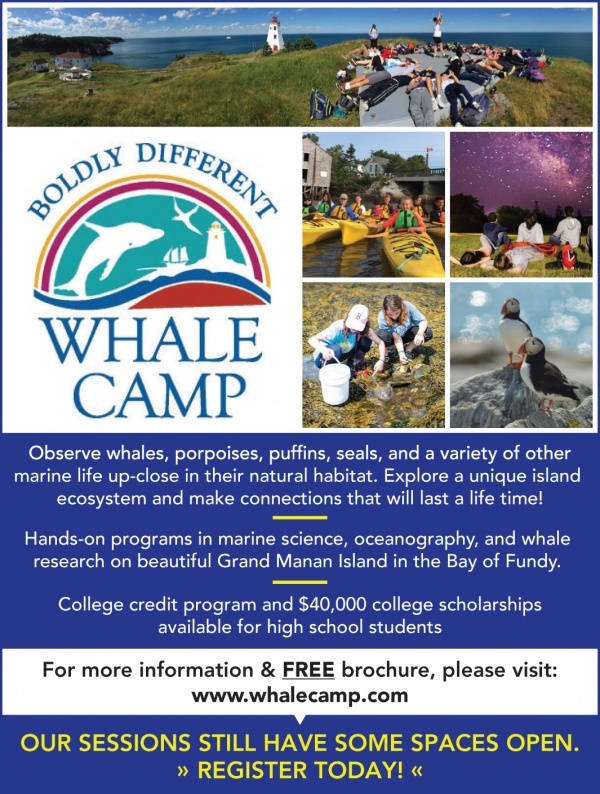 The Whale Camp at the Fundy Marine Science Institute is dedicated to providing marine biology experiential educational programs and facilities for learning about the dynamic marine ecology of the Bay of Fundy as well as the coastal, terrestrial, and human ecologies of Grand Manan Island. Our goal is to use hands-on, discovery-oriented marine science activities to increase awareness and understanding of these living systems and the systems of our oceans and planet. We help our campers foster connections between themselves, each other, and the natural environment.